Please click the image above to read my review of Father Figures for Metro. 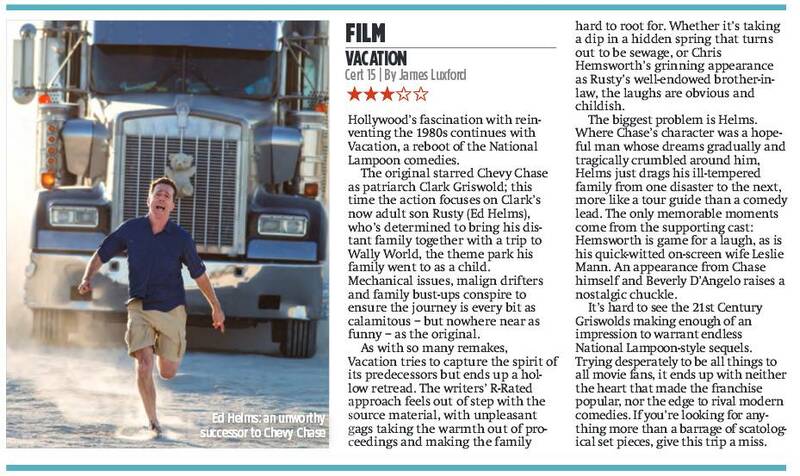 please click on the image above to read my review of “Vacation” for CityAM, as published in the 21st August edition. An online edition of the paper article can be read here (page 41) and an online version of my review of the Disney film “Strange Magic” can be read here.